Please can you help how can I resolve this. I am looking forward to hearing from you. I wouldn't recommend using boardgame since it's not being developed anymore. The last update to the content was 3 years ago. We are getting the same problem trying to upload our many activities downloaded from H5P.org to our H5P.com instance on our University Canvas. It seems that uploading H5P files to h5P.com is broken. The version of H5P is still lower in H5P.com. We usually release updates on H5P.com 1-2 weeks after the initial release. Although we run a series of test, there are added layers in H5P.com and this is to ensure that everything will work smoothly. When will this incompatibility be fixed? I'm sorry you're running into these issues. We have restored all the content you reported that you lost because of the spam filter. Please let us know if there are more H5Ps you have lost that we don't know about. We can't let spammers take over H5P.com and don't have the manpower to monitor manually so when captchas everywhere didn't help we had to apply a spam filter to stop the spammers. Unfortunately "video" for instance is among the top keywords spammers use and also very common for genuin content so the spam filter has false positives. The spam filter combined with a bug in the new version of H5P did cause more problems than intended. H5P.com is two+ weeks behind H5P.org to ensure that H5P.com customers don't have to go through any teething problems with new versions of H5P. 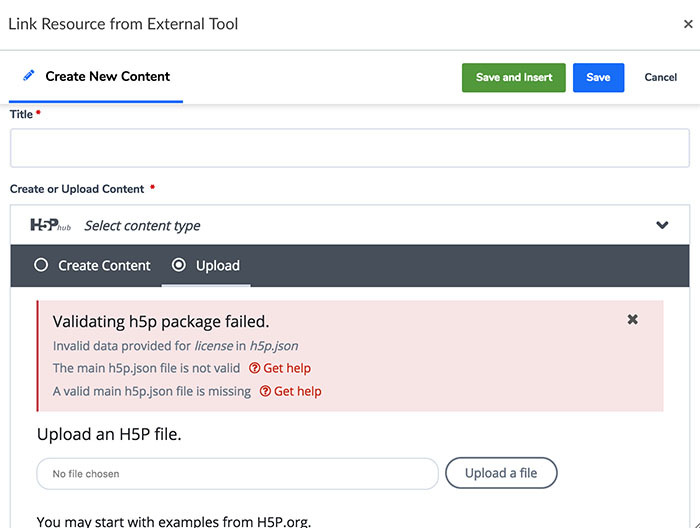 For organizations currently using H5P.org it means two weeks of incompatibility but once your content is over it will of course not be a problem going forward since you'll have all your content on H5P.com. Our current ETA for updating H5P.com is the 24th.